On Thursday morning, the first of 60 Dominion Energy crew members left a facility in Fairfax, Virginia, and headed into Hurricane Florence's path. 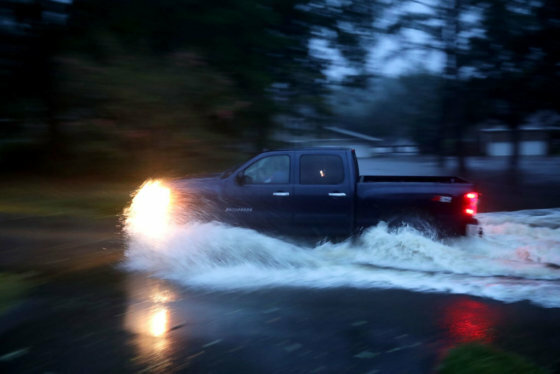 FAIRFAX, Va. — Local utility crews are traveling east to the North Carolina coast to help with restoration efforts in preparation for large numbers of power outages caused by Hurricane Florence. 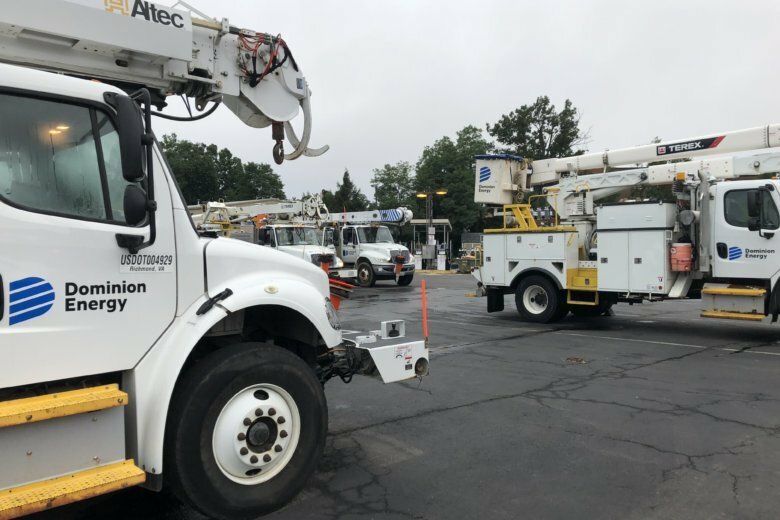 On Thursday morning, the first of 60 Dominion Energy crew members left a facility in Fairfax, Virginia, and headed into the storm’s path. The utility crews will need to hunker down until the storm passes. Then they can assess the damage and begin the restoration process. “They’ll be looking very closely at major transmission lines that have tens of thousands of customers associated with them,” Penn said. Penn said the primary focus at the start will be on critical “life and death” infrastructure along the coastline, including 911 service, hospitals, police and fire departments and water treatment facilities. “It’s all going to be predicated on where the damage is at, in terms of how and where we deploy our resources,” said Penn. Maryland’s largest natural gas and electric company, BGE, said it was also preparing for the storm. By way of computer modeling, Duke Energy anticipates between 1 and 3 million customers in the Carolinas to lose power in addition to those Dominion serves in Virginia. “The magnitude of the storm is beyond what we have seen in years,” said Howard Fowler, Duke Energy’s incident commander. Florence is the most dangerous of three tropical systems currently in the Atlantic. Tropical Storm Isaac was east of the Lesser Antilles and expected to pass south of Puerto Rico, Hispaniola and Cuba, while Hurricane Helene was moving northward away from land. Forecasters are also tracking two other disturbances. The Associated Press and WTOP’s Will Vitka contributed to this report.